BLOOMBERG’S new head office building in the City of London has been awarded the RIBA Sterling Prize. The prestigious architecture award for the Foster+Partners-designed building comes as the property nears the first anniversary of its official opening. 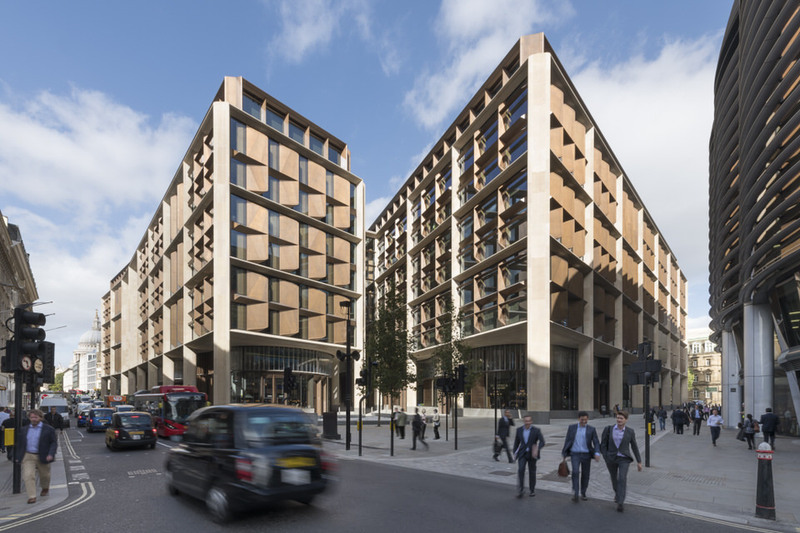 Credited for being the world’s most sustainable office building, Bloomberg’s new European HQ property is also thought to be the largest stone building in the Square Mile since St Paul’s Cathedral. The Queen Victoria Street site is made up of two large triangular buildings separated at ground level by the Bloomberg Arcade which is home to restaurants and bars. In total, the development created 102,200 square metres of office and retail space. The award was the unanimous verdict of the RIBA judges – the other five shortlisted buildings were: Bushey Cemetery; Chadwick Hall; New Tate, St Ives; Storey’s Field Centre and Eddington Nursery; and the Sultin Nazrin Shah Centre.